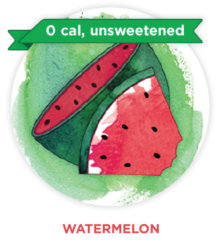 Introducing Bevi Smart Water Cooler’s Newest Flavor - Unsweetened Watermelon! By now, your office is probably in love with the Bevi Smart Water Cooler, and if not – you need to sign up for a free trial asap! This Internet-connected kiosk machine has a touchscreen interface that allows you to choose from select still or sparkling water, with a choice of delicious and refreshing flavors. It’s the perfect pick-me-up for your employees throughout the work day because the Bevi offers the best of both worlds in terms of hydration and flavor, with most of the flavor options low calorie and sweetened. 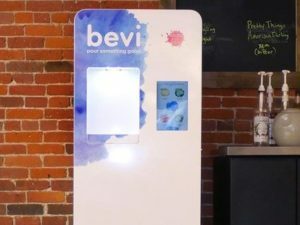 In addition to the standard sparkling and still water, Bevi Smart Water Cooler users have been enjoying flavors like coconut, cucumber, lemon, lime mint, pear, raspberry, grapefruit, peach, peach mango, blackberry lime, lemon lime, blueberry cucumber and orange mango. However, there’s a new flavor in town and it sounds like a fantastic addition to the already delicious line-up. Just in time for spring and summer, those lucky enough to have a Bevi Smart Water Cooler in their office courtesy of US Coffee can now select the Unsweetened Watermelon flavor. This new addition to the flavor line-up will take you back to your childhood days of taking a break from playing with the neighborhood kids on a hot day to snack on a cold, refreshing piece of watermelon that your mom just cut up. Bevi works hard to create the best-tasting flavors and watermelon doesn’t disappoint. Bevi never uses high fructose corn syrup, and strives to promote a wellness environment at the workplace. 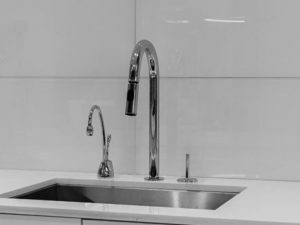 It’s also a great way to make your office greener by eliminating waste from the production, transportation, and disposal of water bottles. Bevi machines save 924,808 bottles a day from landfill. Sign up for a free Bevi trial today!